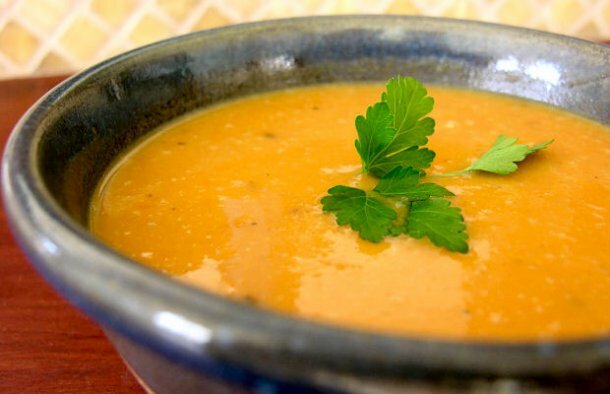 This delicious Portuguese sweet potato soup (sopa de batata doce) is very healthy and very tasty. Soak the beans for 12 hours in water with the vinegar. Place the beans in a pan together with the chopped onion, crushed garlic, water and lard/vegetable shortening and cook until tender. Add the olive oil, slices of pumpkin and chopped sweet potatoes and continue to simmer until vegetables are tender. Remove the pumpkin, peel it, chop it and add it back to the soup. Puree everything using a kitchen hand blender and season with salt and pepper to taste. 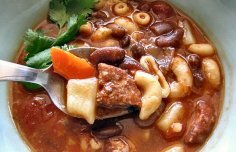 How to make Portuguese bean stew with chouriço recipe. This Portuguese chicken and bean stew (feijoada de frango) recipe makes an amazing meal for the whole family. 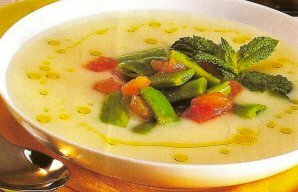 This Portuguese green bean and mint soup recipe (receita de sopa de feijão verde e hortelã) is delicious and healthy.